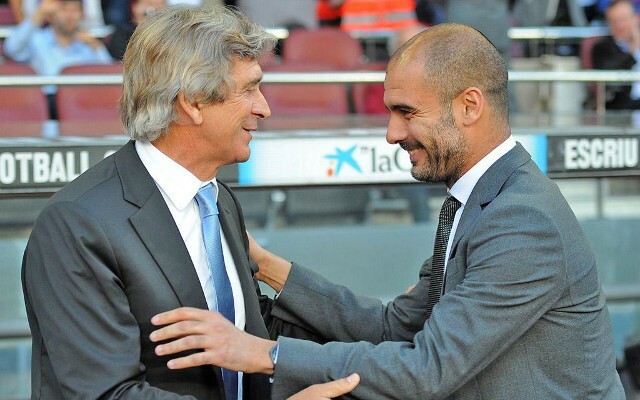 As rumours linking Pep Guardiola with a move to Manchester City reach fever pitch, current coach Manuel Pellegrini appears resigned to his fate. “If I have the option to renew here for five more years or to win the title and be sacked, I’d prefer to win the title,” the apparently weary manager began, as per the Mirror. “I don’t think my position in the future is linked to titles. For me, as a manager, it’s important to win the title because it’s my job. “I think that if you’re the owner of a club, you must have the option to replace the manager if they win the title or if they don’t win the title. Pellegrini’s comments would appear to indicate that the Chilean coach is almost anticipating his dismissal either at the season’s end or before. The South American manager hasn’t always convinced in the dug out at Eastlands, and despite the malaise enveloping title rivals Chelsea and Manchester United this season, the Sky Blues haven’t taken the championship campaign by the horns. Indeed, after winning the title in 2014, Pellegrini was unable to sustain City’s momentum, and the side were outclassed by Chelsea last season. As such, the club’s owners are understood to be searching for a truly elite manager, and following confirmation that he will be leaving Bayern at the season’s end, Guardiola appears to be that man. Pellegrini’s comments—perhaps a result of the incessant rumours linking the ex-Barcelona coach with the hotseat at Eastlands—is an admission of his impending departure and the biggest indication yet that Pep’s on his way to the Prem.